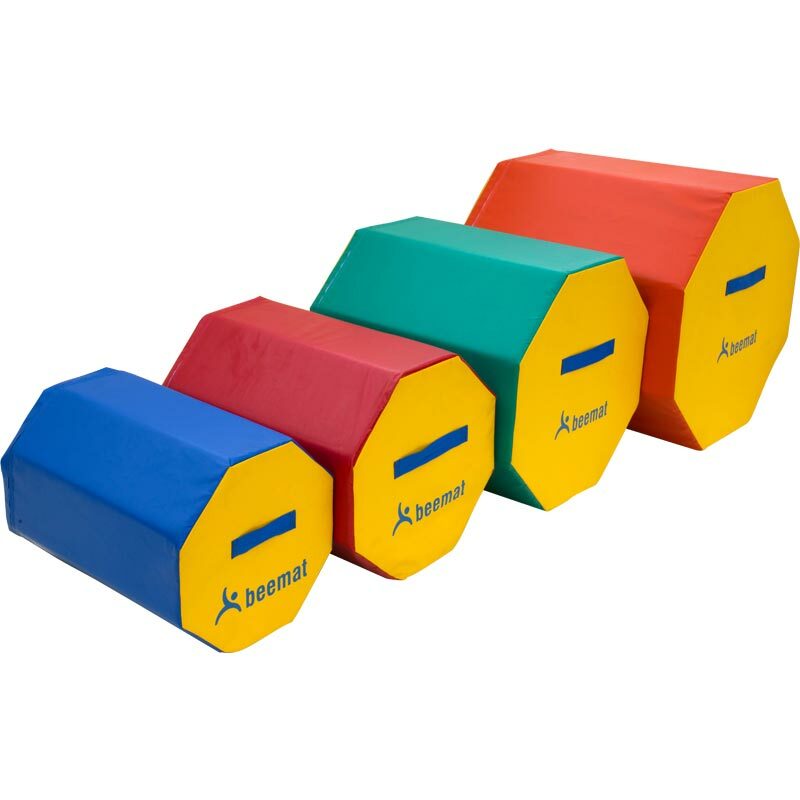 The Beemat Octagonal Training Blocks Full Set are used for teaching tumbling skills and to develop correct shaping for handsprings, walkovers and tick-tocks. Can also be used for leaps, jumps and as obstacles in training skills that require height. Perfect for tumbling skills, forward rolls, handsprings and walkovers. Teach tick-tocks, leaps, over splits and round off drills. Assists with balance and coordination. The octagonal shape minimises movement. Wipeable and easy to clean.